It's been twelve days since I first bottled the porter. The beer was kept at approx 66-72 'F during that time. It should be sufficiently seasoned by now and ready to drink. I snuck an early beer a few days ago, but I'll have another before I update you on the first true taste test. … And it's bottled. All signs of fermentation had ceased several days before bottling, but I was unable to get to it until Friday. (I was busy doing other BS; like my job and the generally unimportant tasks one does to lead a remotely "successful" life – "success" here being defined as merely subsisting.) This was one of the quickest fermentation cycles I've seen so far. 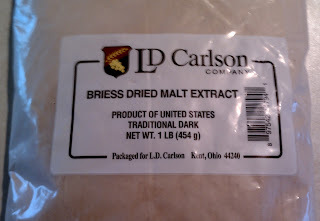 Given that I pitched the yeast at ~60 'F (or less) and that the back room where I kept the fermentor gets down to the low 60s at night, I was/am concerned about alcohol content and flavor. I did my best to remedy the situation a few days after brewing by wrapping the fermentor in an electric blanket, turning it on and off for a period of hours each day. (The Wine and Hop Shop was out of heat wraps, and they don't recommend using a brew belt on a glass carboy. Weakens the glass. And I prefer not to have a crack form leading to 5+ gallons of still-fermenting beer rushing all over my floor. But, I digress.) Fermentation was definitely complete by day six. All in all, it was a pretty ghetto setup. Should have snapped a picture of the arrangement for your amusement. 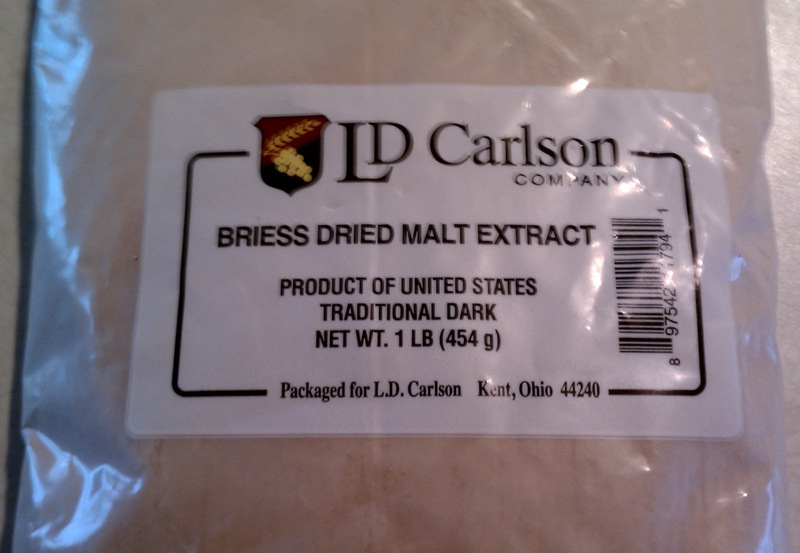 I used dark malt extract for my primer: 1 ¼ c Briess Dried Malt Extract boiled in 16 oz water for 5 min. The assembly line-like process of bottling ran fairly smoothly this time, thanks to me actually having the patience to wait for the help of my darling wife. (As we learned on the last beer, don't bottle alone. You'll embarrass yourself. I did.) I siphon, she sanitizes the bottles and caps them – a match made in (beer) heaven. We still ran into problems during the siphoning; only managing to fill 2½-3 beers before having to pump the auto-siphon and refill the hose. 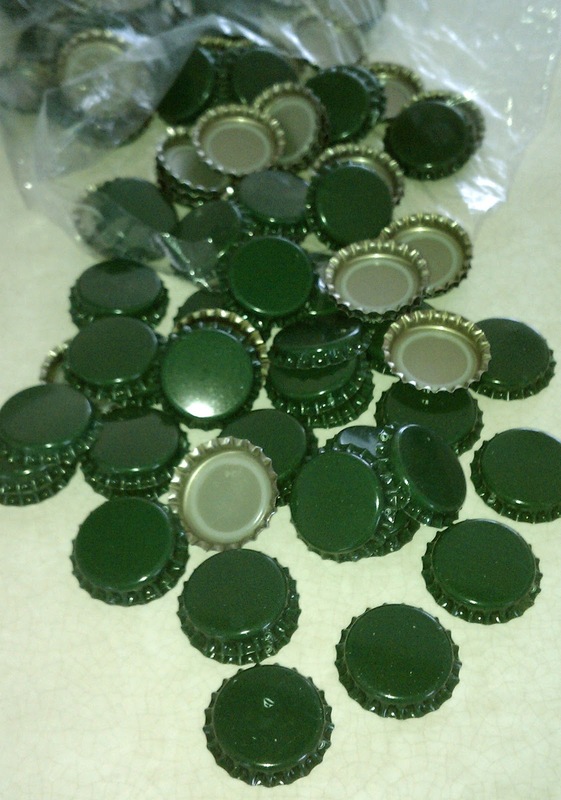 This probably added an hour to our bottling time and caused a good half-a-beer or more to be lost in spillage. Precious beer lost! To remedy this in the future, I cut about a foot off the length of the hose afterwards. It's approx 5 feet long now. I'm hoping that this improves the pressure inside the hose when racking to maintain steady beer follow-age. Bottling tuneskies: George Harrison's "Concert for Bangladesh"
I'll be bottle aging the porter for 10 days at approx 68/62 'F. Ciao, until then.